The Rebel Sweetheart. : Deals, steals, discounts, and more at Lazada.com.ph! Deals, steals, discounts, and more at Lazada.com.ph! For most Filipinos, June usually signifies the start of the school year and the onset of the rainy season in the country. But for Lazada and all the shopaholics out there, the month of June is synonymous to a huge, mid-year madness sale! And here are five of the best reasons why you should shop at Lazada right now. REASON #1: Sale-lebrate with Lazada this Independence Day. We all know the parades, the speeches, and the floats during Independence Day but this year, while you’re at your break from work or school, Lazada.com.ph offers you the best deals on the hottest items right now. With offerings as much as 80% discount on more than 30,000 lifestyle and electronics products up for grabs, shopping online will be a breeze and right before you know it; your purchases are already at your doorstep. So why be left behind dreaming over those brand new smartphones or accessories when Lazada makes shopping effortless and risk-free for you? 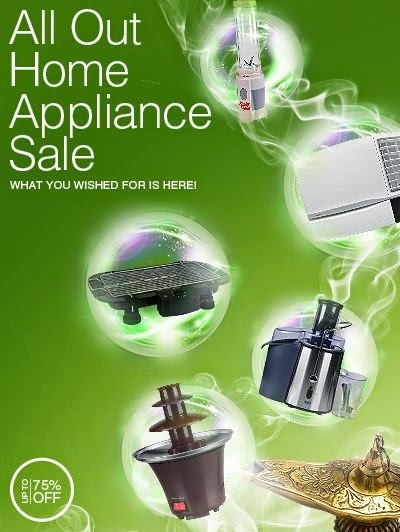 Home appliances at 75% off! Why leave all the heart-warming moments with mom when you can put up a smile on your Dad’s face this Father’s Day? Whether you have a classy dad, a techie one, an adventurous one, or even a sporty one, there’s definitely something for every father out there at the country’s online shopping mall - www.lazada.com.ph. Choose from a wide selection of electronics, outdoor gears, accessories or grooming products right at your fingertips – all at prices which won’t break the bank – so you would still have money left for dinner and drinks with dad! With jaw-dropping discounts as much as 70%, you and your dad will definitely feel appreciated when you shop at the country’s online shopping mall. REASON #3: Don’t sweat the swipe! Who says you need credit cards to buy online? Not with Lazada! Buy anything as you please and pay when the items are delivered at your doorstep – in cash! Simply effortless and risk-free all for you. REASON #4: Wherever you are, we’re there. No time to go outside to shop? Tired of the swimming aimlessly in a sea of people in the malls? Fret no more, with Lazada’s free nationwide delivery system- for transactions above PhP 1,000, you are sure that no matter where you are, your will receive your purchases right where you want it. Staying abroad? You can still show your loved ones in the Philippines your appreciation by ordering in Lazada and we’ll be sure to send it to them. No fuss, no hassle. 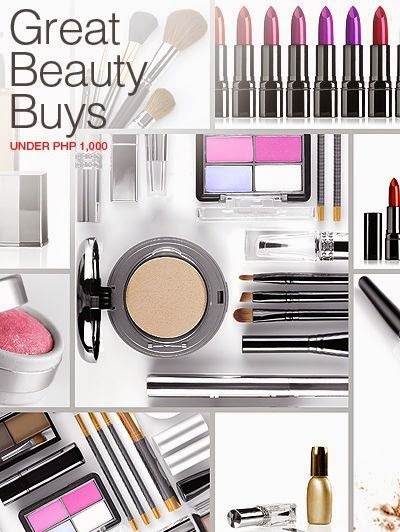 Great beauty buys at pretty prices! REASON #5: Don’t Like it? We’ll Take it! Purchasing from Lazada is not only effortless but also risk-free. When you purchase items with us and you don’t seem to like them anymore or they do not fit you perfectly, simply send them back to us free of charge and we’ll return your money back. Afraid of buying items that you don’t think will fit you? With Lazada.com.ph, you can purchase items one size smaller and one size bigger and you can fit at the comfort of your home and pay for what you want to keep, if it doesn’t fit, feel free to send them back and we’ll handle the rest. Lazada (www.lazada.com.ph), the Philippines’ largest online shopping mall, is pioneering e-commerce by providing a fast, convenient and secure online shopping experience combined with an extensive product offering in categories ranging from mobiles & tablets and consumer electronics to household goods, toys, fashion and sports equipment. Lazada is continuously striving to offer its customers the best possible shopping experience with multiple payment methods including cash on delivery, extensive warranty commitments and free returns. Lazada mobile applications for Android, iPhone and iPad provide additional convenience to its consumers’ allowing them to shop anywhere, anytime. I love Lazada. I've ordered a few times and have had smooth transactions. I love how Lazada provides next-day delivery service! Ang bilis! ;) Plus, the discounts are unbelievable! You had me at 'Home appliances at 75% off'! I have to check this out! I didn't realize companies still allowed you to purchase C.O.D.! Hope it takes off! I have not heard of this company. I will have to check it out. Pretty cool sounding site.. i will have to check it out. I have never heard of Lazada, but from what you and the other commenters have said, it certainly sounds like a site worth checking out! I haven't ever heard of them till now. Will be checking them out! Thank you for introducing me to Lazada. Sounds awesome! I have never heard about shopping with Lazada. Thanks for sharing.